In a post from last week we highlighted the recruitment trend of the rise of the Boomerang Employee and its importance in winning the war on finding great talent. Question: What is your career story to date? Answer: In 2004, I undertook my ACA training with Horwath Bastow Charleton (as the firm was known then). After six years, in 2010 I decided to leave to join Ernst & Young where I worked for two years before moving to Bank of Ireland, where I stayed for six years. During my time in the bank, I gained invaluable experience across a wide range of roles. Question: What were your reasons to leave Crowe in 2010? Answer: After six years a lot of my peers had moved on and the time felt right to make a move myself. As people can appreciate, there was a very different climate and outlook in 2010 than there is today, so when an opportunity arose in EY, after weighting up my options I felt it was a good move for me. Working at EY gave me the opportunity to gain experience with a Big 4 firm while broadening my network. But I was surprised when I started working there to find myself working for a partner who trained in Crowe! Question: What were your reasons to re-join Crowe? Answer: After a couple of years with EY, I was offered a role with BOI. Through my time working with them, I was able to gain a lot of experience working across a number of roles. It is a well-known national institution with a focus on supporting Irish SMEs and, at the heart of it, a strong set of values and culture centred around its people. After six years with them the time felt right for a change. At this stage in my career I needed to make the right move for me and so I drew up a list of priorities around the type of organisation and role I wanted to move to. 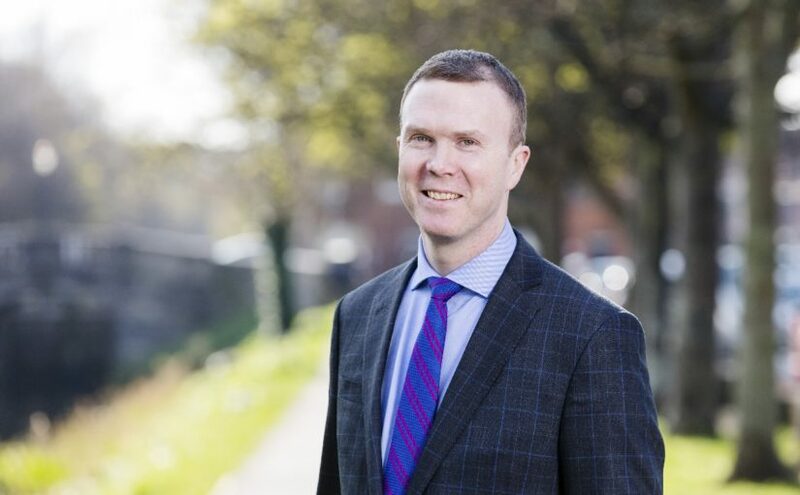 I had kept in touch with Crowe through their alumni network over the years so was up to date with a lot of the recent developments within the firm. The firm had been hugely supportive to me in the past and that is something that I valued a great deal on a personal level. After a conversation with George Kennington (audit partner with Crowe) at an alumni event, I was very excited by the changes that had happened in more recent times and felt confident in the culture and values of the firm. Moving back into practice allows me to be in an environment of constant on-the-job learning and development, which will benefit my career in the long-run. The role itself, presents an opportunity to work on a variety of projects as well as with some familiar clients. In re-joining Crowe, I felt that the experiences I had gained away from the firm would offer something different, with the benefits flowing to our existing and future client base. Question: What are your hopes for the future? Answer: Other than Dublin Senior GAA doing five years on the bounce?! I hope to develop new skills by working with a range of different clients within a practice environment. With time, I hope to progress through the firm’s leadership career path, which I am also excited by. Question: How it’s going for you second time around? Answer: Moving jobs can be a difficult time, so familiarity has definitely helped the transition – it’s early days but I’m really enjoying the challenge. It’s also been good reconnecting with old colleagues and clients. Crowe has strongly embedded values, a very employee-focused engagement programme which encourages a work life balance and an active social and CSR programme with I enjoy. I find the experience that I bring is being welcomed and my opinion sought so life is good! As a result of growing client demand across all service lines, Crowe is expanding. We have a number of exciting opportunities available across our firm. If you are looking for a new opportunity to develop your career, visit the careers section of our website to find out more. 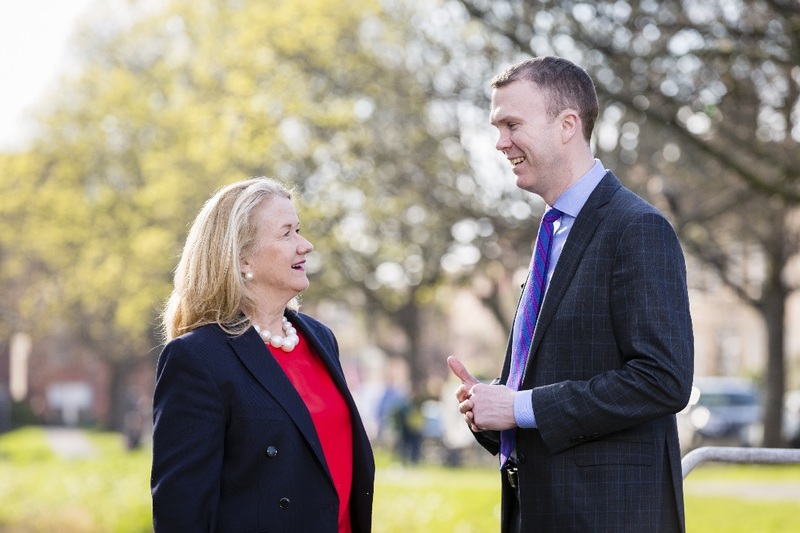 Beccy Cameron, Director of HR in discussion with Darragh Walsh.